Just posted my second player collection wantlist for former Oriole/Met/Expo/Mariner/Ranger/Blue Jay David Segui, son of original Seattle Pilot and Mariner Diego Segui. 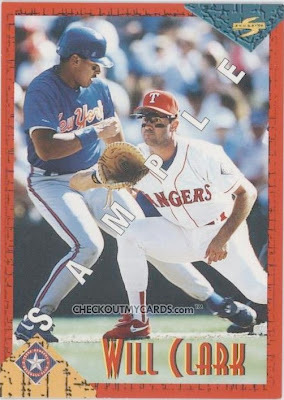 David played in the heart of the junk wax era (1990-2004), so plenty of cards are out there! According to Beckett, I've filled in most of 1990-1999, but 2000 and up had so many cards it's hard to know for sure. I've got mostly low-grade vintage as trade material.